Despite its painful past, Armenia has successfully preserved its authenticity, culture and heritage. Its ancient monasteries, its churches dating from the 7th and 8th centuries, and high walled fortresses are all witnesses of its rich existence. Surrounded by mountains, valleys and steep slopes, this country is home to many cities that are the epitome of beauty. 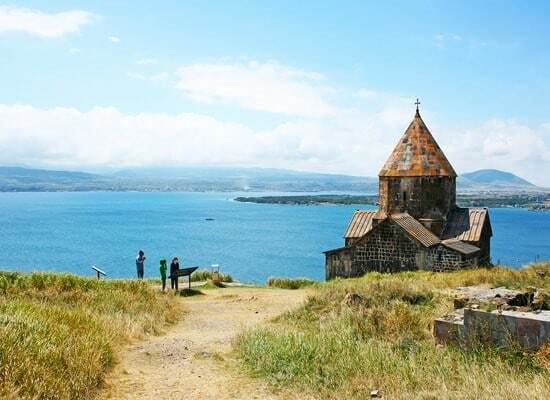 From luxurious Yerevan to the sumptuous city of Sevan, via Dilijan and Goris, it’s hard to resist this land’s charm. To discover this landlocked country by the Caucasus, spring is the best season, where the local flowers bloom amidst the falling rains. In autumn, the climate is warmer and more favourable to climbing Mount Ararat, the national emblem. Last Updated: November 05, 2018 16:50 ESTThe Health tab was updated - travel health information (Public Health Agency of Canada). Outside major cities, access to medical care is unfortunately very limited in Armenia. Whilst Yerevan has the highest concentration of medical centers, most of these suffer from lack of medical equipment and staff. The Ministry of Public Health has recommended that foreign travellers use the 4th Yerevan City Polyclinic. You may also use the Malatia Medical Center and the European Medical Centre which also offer reliable health services. Most of the medicines used in Armenia are sourced from Russia, and all pharmaceuticals are subject to quality and price controls by the Ministry of Health. It should be noted that the control standards don’t have the same standards as the Canadian ones. It is also possible to buy medicine without prescription in Armenia. To request an ambulance, contact 103. Is Armenia Safe for Travel? If you’re a Canadian citizen and staying under 180 days, then only a passport is required. It must be valid at the time of entry.